New Orleans-based blues guitarist and singer whose blindness earned him the nickname "Braille Blues Daddy." 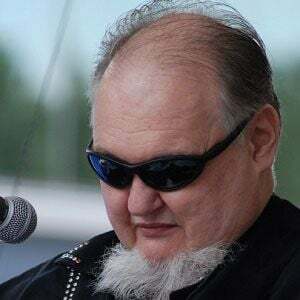 He began releasing music in the late 70's and earned a large following in Louisiana in the 80's with his band The Jump Street Five. He was completely blind by age eight. He developed a passion for blues listening to the radio station WLAC-AM and was playing in the band The Glaciers by his late teens. He performed with Kenny Wayne Shepherd on The Tonight Show with Jay Leno in February 2007. He married a woman named Bethany, who has also served as his manager. He was personally encouraged to keep playing the blues by legendary blues guitarist Muddy Waters.